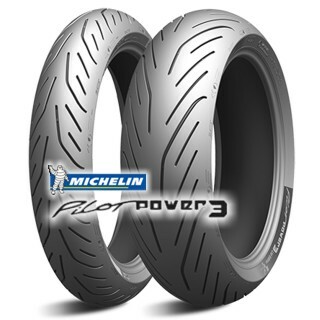 Michelin`s new Pilot Power 3 are a supersport tyre designed to work as well on the road as it will on track. Working with the new 2CT PLUS technology they offer an amazing increase in performance, handling and longevity when compared to the much loved Power 2CT. The perfect choice for fast road and occasional trackdays. This new dual compound supersport road tyre uses four compounds of rubber through out the pair. The rear tyre enhances tread rigidity and cornering stability and by extending the harder compound underneath the softer shoulder compound it adds to cornering stability most especially when accelerating out of turns.